My modern day board game routine of things like the Lord of the Rings card game, Scythe and Star Trek Ascendancy don't make much room for classics like Reversi, but this incredibly cute Splatoon-themed board would change my mind if someone put it on the table. 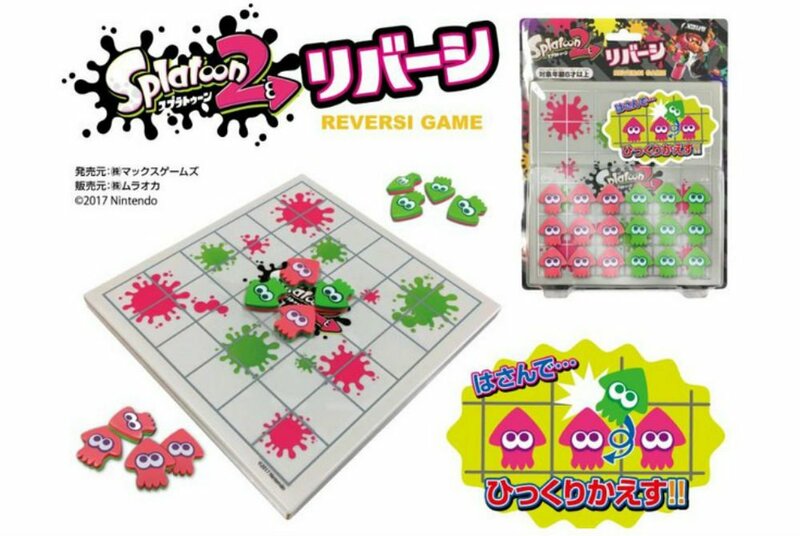 Yep, Max Games is headlining an official version of Splatoon 2 Reversi, complete with an ink playing board and squids (green and pink in lieu of the traditional black and white pieces). It'll arrive later this month for 1000 yen, which is just under 10 bucks. In other words, it's a great gift if you can pick it up in Japan or get a good import deal on it. The whole "is it Reversi or Othello" question led me down a massive hole that I didn't recover from for nearly an hour. It's one of those "historians don't really know who actually made the original" types of deals, and folks still argue to this day regarding the variations between the two. Most westerners probably know it as "Othello," especially when you factor in that popular gaming company Mattel trademarked the name. The name is still widely popular in Japan however, as Othello was even normalized by a man named Goro Hasegawa and Nintendo developed a handheld version of Othello before the NES era. Small nuances between the two games mostly boil down to tiny alterations, like starting with a blank board in Reversi as opposed to the traditional four disks in the middle with Othello. Yet, the above image of the Splatoon 2 Reversi shows four default tiles in the middle in the Othello style (the version most people play today), hence this exploration. So why isn't it using the Othello name? Capitalism. The name "Reversi" is simply easier to claim from a monetary standpoint, despite the fact that Othello has become more popular. Amid all this mess, my favorite version of Reverthello (this is a parody, don't @ me, Mattel lawyers) is Ehrgeiz's fighting game version of it. Hot damn Ehrgeiz could use an HD remake or re-release (no one will go through the effort of a remaster for this extremely niche thing only I, and probably one commenter here love). I still bust out my copy to play that fully-fledged RPG from time to time.